WHY is time passing so quickly these days? What’s up with my clock? The last time I check I was still gallivanting somewhere with my family in summer and now its ber-months, geezz! I’m not complaining though, I actually love the ber-months especially this Pasko culture of ours. We Filipinos are always prompt at reminding ourselves that Christmas is close. And what better way to do that than listening to Jose Mari Chan’s soothing music and other familiar Christmas jingles at the malls? Seeing shop windows having amazing displays, hearing your single friends sharing ‘emos’ having cold Christmas and the best part of all - shops, restaurants and hotels having holiday promotions. 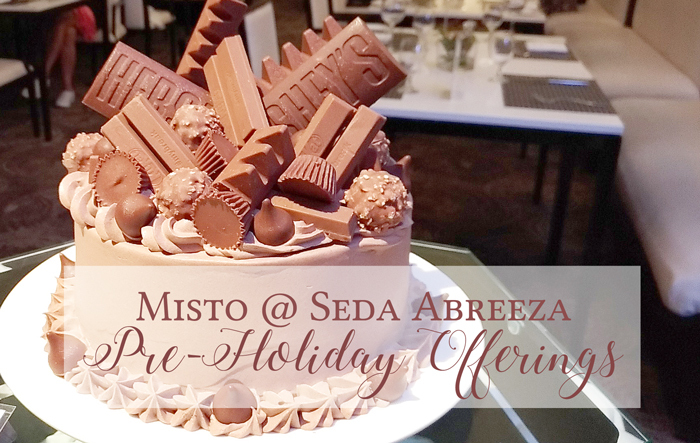 And indeed at Misto, Seda Abreeza’s award-winning and all-day dining restaurant, Christmas came early. Misto kick-off the holiday season by launching three pre-holiday offerings this year. 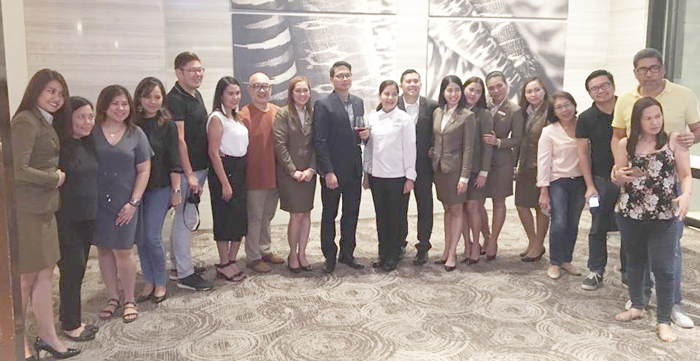 At an intimate gathering with lifestyle bloggers and media friends, the ever dapper General Manager of Seda Abreeza, Mr. Ken Kapulong shared to us that – this pre-holiday promo will highlight Misto Chili Prawn in lieu of the usual signature carved meat and other all-time Filipino favourites. A showcase of Misto’s specialty cakes - these are best gifts for your clients and friends this Christmas. And the third one, since it is ber-month, the unli-beer promo until November 30. All these prepared by Chef Bang and her culinary team. So, let me give you a preview of what awaits you at Misto in Seda Abreeza this pre-holiday months! 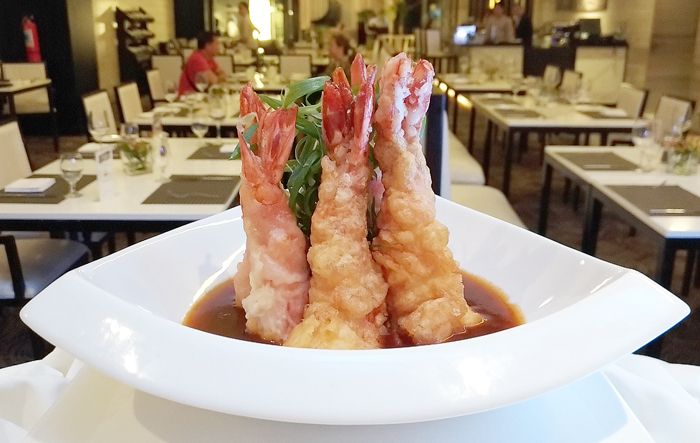 As what GM Ken has said, Misto forgo of the usual carved meat in this pre-holiday offering in lieu of this appetizing Chili Prawn. And as always, Chef Bang didn’t disappoint, so expect to be treated to a hot and sizzling dining experience here at Misto. Misto Chili Prawns. This is so good! Life is short you know, indulge! That’s only the Chili Prawns we’re talking about. 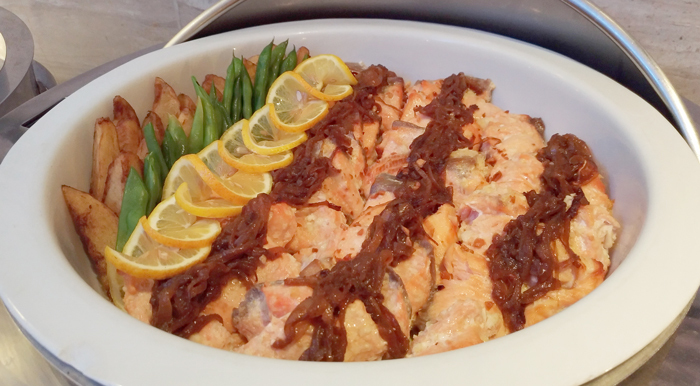 Have I told you there’s also pan-seared Norwegian Salmon fillet on the spread? Right! One of the highlights and guess what? They’re to die for. Don’t worry there’s a chafing-ful of rice on the side waiting. And Oh! Worry not about your diet, there’s always next year. Who knows Belo will come out of magic slimming pills, I’ll be the first in line, I'll let you know! But for now, dig away! Other two of Pinoys all-time favourites on the spread are - The Pork Sinigang Adobo and Kare-Kare. I always accept this as true – that no matter how sophisticated our tongue has become or have explored various foreign flavours and tangs, we always go back to where our taste buds are comfortable at. 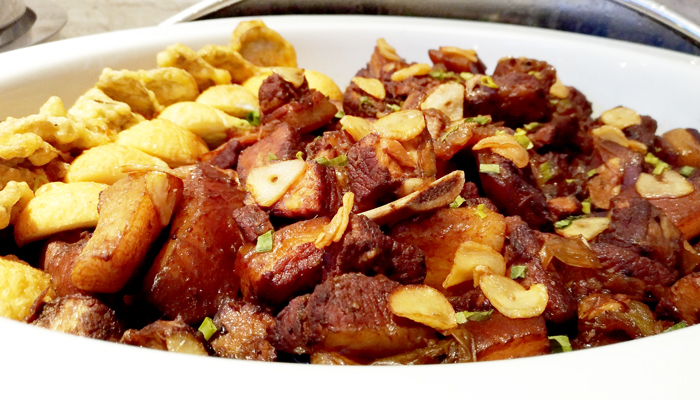 We always look for what’s familiar and favoured dishes we truly call our own. 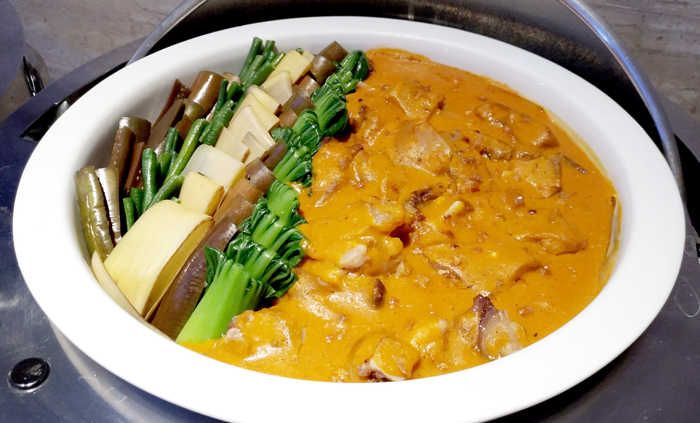 Misto’s version of Adodo and Kare-Kare is something you should try in this lifetime. Why is your Kare-Kare so good, Chef Bang? You’ll know the answer if you’ll book a table today, there’s a number you can call at the bottom of this blogpost. So now unto the desserts! Misto has always been a winner when it comes to serving cakes and pastries. They have power culinary team that makes the best cakes in town. This year, Misto’s Specialty Cakes are now available for take-out. They can be given as gifts to whoever you wished to or share with this Christmas. Who doesn’t love cakes? It's one of Misto's must indulge guilty pleasures. Misto’s list of Specialty Cakes include; Malagos Dark Chocolate Cheesecake, Angel Food Cake, Pistachio Milk Bar, Strawberry Velvet White Chocolate Cheesecake, Carrot Cake, Chocolate Factory Cake, Mango Sans Rival, Red Velvet Cake and Malagos Chocolate Cake. You may call the number below for orders. And now the last but not least offering - the UNLI-BEERS night at Misto. 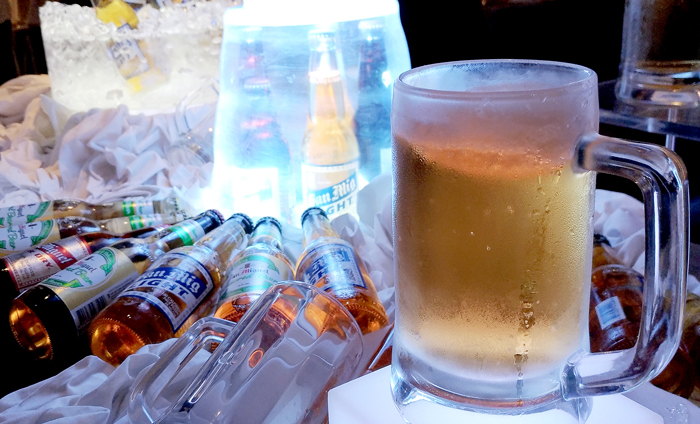 With this offering, you can have unlimited beer of all sorts for only P780nett/per person. This is available every night from 6PM to 8PM from October 1 to November 30, 2017. That’s two hours of unlimited drinks and fun. So gather the whole squad and celebrate life at Misto! It’s always a joy to be at Misto, especially when the night and good food is shared with fun people. Thank you Seda Abreeza for having Woman Elan Vital. As always, I had fun! So for your next food adventure, head up to Misto! Their Pre-Holiday Offerings are something you shouldn’t miss for the world this season.